Globally and domestically, cotton is an important agricultural commodity. In India, cotton exports and not only a source of vital foreign exchange earnings, but also account for a substantial proportion of their GDP and tax income, leading to significant economic and social development. About 70% of the global cotton production comes from 4 countries, which include China(27%) , India (22%), USA(13%) and Pakistan(8%) . However the productivity is considerably low especially in rainfed areas. Andhra Pradesh and Telangana has 22.69 lakh hectors of cotton cultivation during 2012-13. About 65% of cotton cultivation is under rained and Mahabubnagar district belongs to this category. The major constraints in cotton production has been the use of unsustainable production practices including intensive input application of pesticides and fertilizers, not following water and soil management techniques at individual farmer level, and poor harvesting and post harvest practices. Besides, poor supply chain linkages, environment, health, biodiversity and social impacts are the key issues need to be addressed for sustainable increase in cotton productivity and quality. Better Cotton Initiative (BCI) is a global nonprofit membership organization, supported by a range of stakeholders, such as producers. Global retailers, traders and financial institutions. The purpose of BCI is to promote strong supply chain linkages with measurable improvements in productivity and reduction in costs of cultivation without adversely affecting the environmental and social impacts. PRDIS is a member of BCI and a recognized IP for BCI. 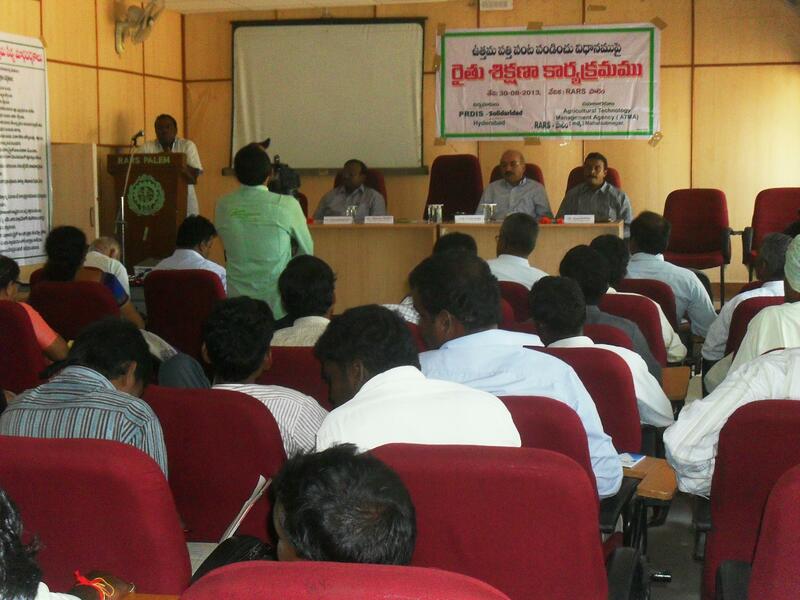 It is authorized to work with local partners in Andhra Pradesh, Maharashtra and Karnataka on BCI Programme from 2013. Initially Krushi Foundation – an NGO (Karimanagar district) and We Care Society (WCS) – an NGO (Karnataka) were chosen as Local Partners. 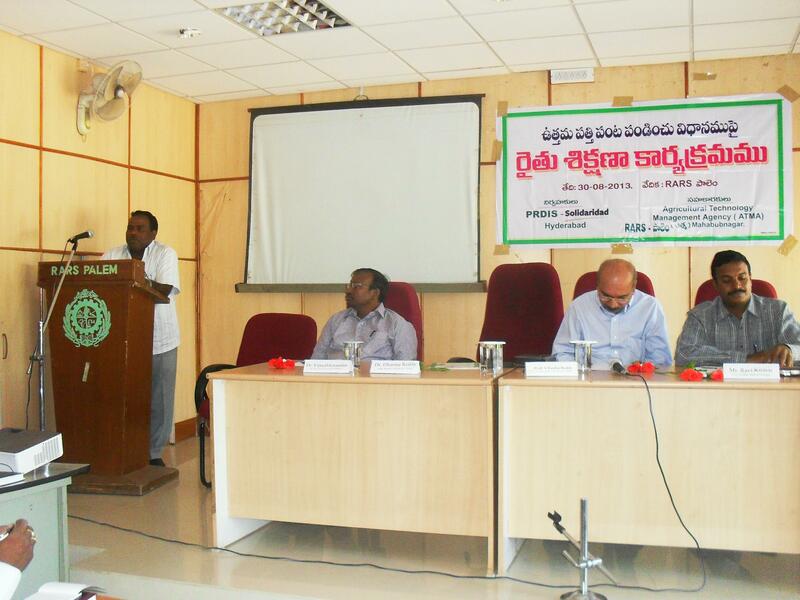 During 2014, Sarvareddy Venkureddy Foundation for Development (SVFD), Guntur was also added as local partner. 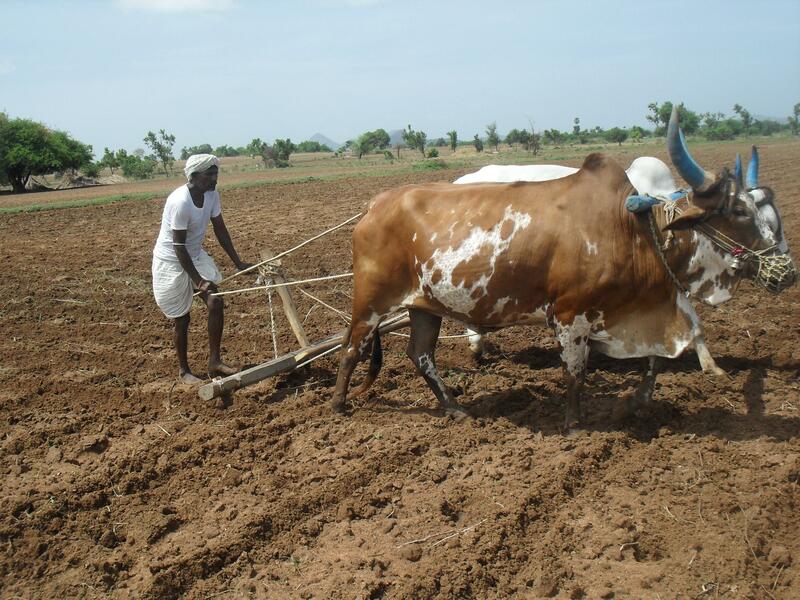 During 2014, the programme was operated with about 12000 farmers (Mahabubnagar-5000 by PRDIS, Karimnagar-3500, Raichur-3500, Guntur -1000) and with 24000 Hectors. The BCFT, Solidaridad, Govt organisations, Universities, farmers, department of Agriculture, ATMA and Supply chain partners have supported the programme. We harvested about 30000 MT of seed cotton (10000 MT of lint) during the season. 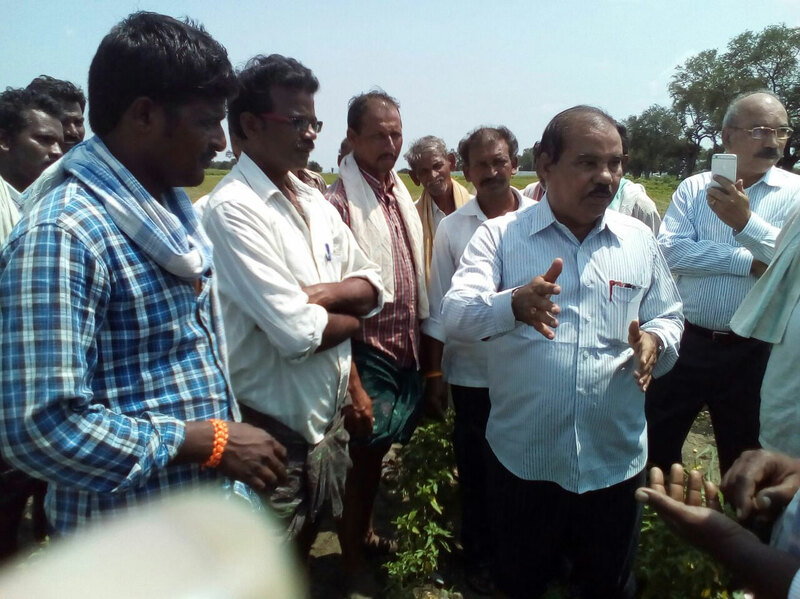 Similarly during 2015, 2016 and 2017 PRDIS has been working with around 23500 farmers ( 7000, Mahabubnagar, 7000 Karimnagar, 6000 Guntur and 3000 Kurnool) in an area of about 28000 hectors. Resulted in 44194 MT of seed cotton during 2015, 45250 MT during 2016 and expecting 55000 MT for the current season (2017). BCI GIF has been supporting the programme since 2016 besides other partners cited above. PRDIS in collaboration with state departments of Agriculture, Agricultural universities and ATMA has undertaken R&D programmes in the Farmer Field Schools and Demonstrations on Varietal trials, High Density Population, spacing, INM, water conservation, compost, mulching trails and Fibre quality in order to improve the yields, soil health, moisture conservation and Fibre quality, in addition to reducing the cost of cultivation. PRDIS as an implementing agency was choosen by BCI in India for Impact assessment study by BCI in alliance with I seal. 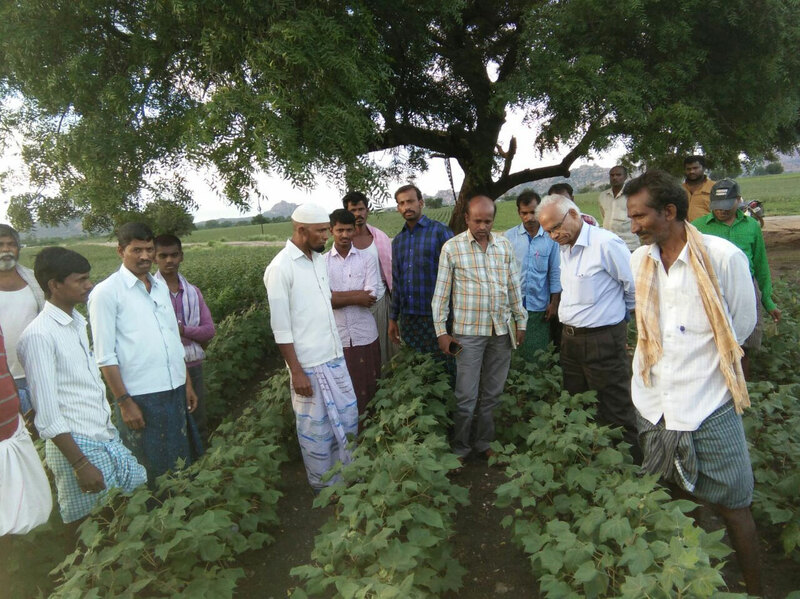 This programme is being implemented at Adoni mandal of Kurnool district of Andhra Pradesh with about 2000 farmers during 2015, 3000 in 2016 and continuation of same number in 2017. The baseline data has been collected and reported the results successfully during 2016. During 2017 midline monitoring assessment will be done.This will be a challenging task for PRDIS. The research will be continued progressively up to 2018 to assess Better cotton Initiative strength and its implementation model, impact on cotton farmers and their households, improvement in environment, health and Decent work. PRDIS represented by Prof.S.V.Reddy was elected as BCI council member under civil society category. The Council is an elected board whose role it is to ensure that BCI has a clear strategic direction and adequate policy to successfully fulfill its mission. The programme will be scaled up in collaboration with BCI, Donors, Supply chain stakeholders, farmers, Local partners and government to the extent of 75000 farmers covering 112000 hectors expecting 75000 MT of lint by the end of 2018 harvesting season. Kaveri Industries Pvt Ltd, Nalgonda. Sree Tirumala cotton Corporation, Guntur. 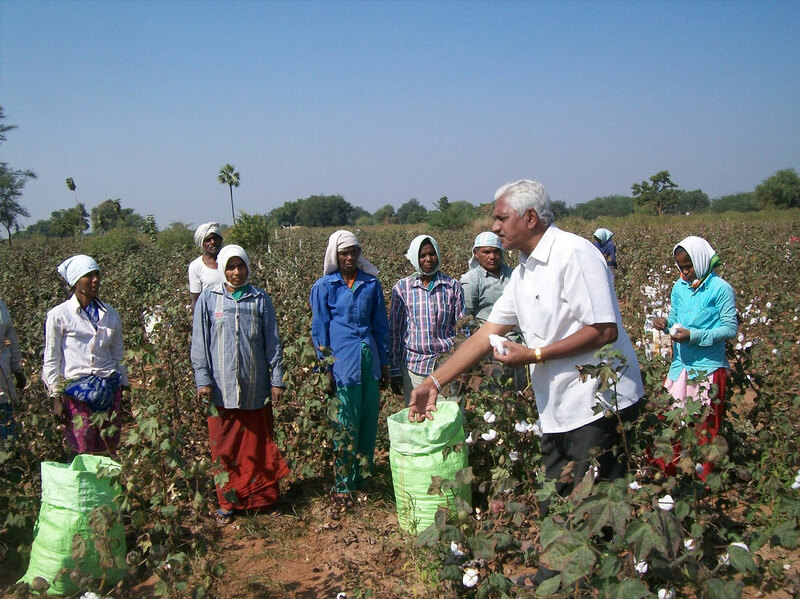 White field cotton corporation, Guntur. Manjeeth Fibers, Khammam and Nalgonda.